Making sure your child gets into the habit of caring for their teeth is essential for healthy and strong teeth and crucial for their long-term oral health. Besides, most parents know how much kids dislike the dentist, so it’s certainly worth investing in a toothbrush they will find easy to use. Although both manual and powered toothbrushes are effective at removing plaque, many individuals prefer electric versions. The main advantage of a powered toothbrush for kids is that they can aid with dexterity and anything that encourages kids to brush their teeth has to be a good thing. The American Dental Association recommends that children should brush their teeth twice a day for at least two minutes. There are also mouthwashes designed for children and a variety of tools designed to extract food and debris from in between teeth. However, at such a young age, kids often lose patience and struggle at mastering the right technique, often leading to sore, bleeding gums. That’s why it’s so important to secure a toothbrush that will remove plaque and debris and maintain good dental hygiene. Best Electric Toothbrush for Kids Reviewed! This Disney Princess themed electric toothbrush is the perfect starter electric toothbrush for princess fans and will actively encourage them to use it and therefore take better care of their teeth and gums. Themed electric toothbrushes are ideal for young kids since they often look up to their favorite characters and you can easily adapt tooth cleaning into pretend play for an effortless and fruitful experience. It’s a good idea to start brushing your kid’s teeth as soon as they begin to come through, that’s why a low-powered battery operated brush that is gentle on the gums is important. The bristles are also extremely soft, ensuring that the teeth and gums are cleaned without any abrasion occurring, for a comfortable experience that will forge a healthy relationship with their brush. The brush itself is by the well-established brand Oral-B and features a chunky handle that is easy for small hands to get a hold of and maintain a good grip. This brush, in particular, has been designed for kids aged between 5 years and 7 years. This is helpful to parents struggling to choose an appropriate toothbrush for their kids, in terms of size and functionality. In fact, Oral-B has an entire range of kid’s brushes for different age groups, making the selection process easier than ever before. This includes a range for 2-24 months, 2 to 4 years and then this particular type for 5 to 7 years. Colgate is a world leader in dental health products and this Ninja Turtles themed toothbrush will ensure hassle-free brushing before bedtime. This is a particularly good toothbrush for kids who might struggle to maintain a good brushing technique for the full recommended two minutes, or simply for parents who want to make the process as straightforward as possible. Make sure to check out the US Colgate website for fun, educational ways to inspire children’s interest in brushing. This brush features Turtle character vocals that will instruct your child how to brush their teeth from start to finish, keeping them engaged all the way through. Moreover, the voice provides instructions on areas of the mouth that should be brushed and for what duration, the perfect tool for fantastic dental hygiene! This toothbrush is powered with 2 x AAA batteries, meaning no charge time is required for busy mums and dads. It features a small round head that vibrates/rotates back and forth slightly and a small extension that does not move. Although the brush head isn’t replaceable, it should last long enough to get maximum value for money, and besides the batteries can always be put in the next model you use. These batter operated models won’t last as long as their rechargeable counterparts, but this is a good way to test whether your child takes well to the ticklish sensation of an electric brush. Once you know how they respond, you can then invest in a more expensive brush. This is another character themed brush by Oral-B, but in many ways, it is a superior model to the latter that offers more features and a durable design certain to secure a longer lifespan. Unlike the previous model, the Pro-Health brush offers an improved design, with a brush head featuring additional bristles, as well as a rechargeable battery and a comprehensive collection of 16 songs for a fun-filled and interactive brushing routine. As mentioned, the Pro-Brush is themed, this time with the classic “Finding Dory” characters from the hit Disney movie. Themed brushes are a go-to option for kids since it keeps them engaged and ensures they keep brushing their teeth for the optimum 2 minute duration. The ergonomic design is also kid friendly and the chunky body is easy to grip for small hands, recommended for kids above the age of 3 years. The yellow colored rubber grips also make it slip-proof, ideal for kids that are getting used to brushing and helping to aid their coordination. Being a rechargeable model obviously comes with the added advantage of not needing to keep buying and replacing single-use batteries. This is sure to help save money in the long term and obviously is far more convenient than having to buy new ones. In addition, rechargeable toothbrushes tend to be more powerful with the brush heads typically rotating faster than battery powered ones. On average the brush will last for around 5 cleans (at 2 minutes each) between recharges. Probably the biggest selling point of this brush is the 16 melodies that it plays as your child brushes their teeth. This not only encourages your kid to keep brushing, but they only play when it’s time to move to a different area of the mouth, helping to ensure your child brushes for long enough and methodically. The Sonicare for kids is a highly rated electric toothbrush with a range of innovative features, including patented brush design and an interactive app guaranteed to ensure good oral hygiene education that will last a lifetime. The design itself is highly customizable as it comes with a range of stickers targeted towards both genders and in a range of different colors. The app is perhaps the best feature about the Sonicare for kids. On opening the app via tablet, your child will be presented with an engaging animated character that will coach them how to brush each quadrant of their teeth with the help of interactive videos. It also features a reward system and allows parents to set new goals, ensuring they learn how to brush their teeth correctly and for the required duration. There is a handy 2-minute timer that will ensure your kids are aware of how long they ought to be brushing and help them stick to the goal as recommended by the American Dental Association. The brush heads are quite unique to many other designs out there, and instead of rotating, pulsate an incredible 500 times a minute to ensure all food debris is extracted and plaque removed thoroughly. For those wanting a toothbrush that will last, this has a brush head that can be changed and that is also interchangeable between adult and child heads. The elongated brush head is appropriate for children aged seven and older. The Philips Sonicare for Kids works on two power modes – the low mode is ideal for kids between the ages of four and six; the high mode is best for kids aged seven and up. Featuring just two switchable modes makes things easy and helps to guard the more gentle gums of children and helping them move to a more robust cleaning performance when they’re confident. Choosing a toothbrush for a kid is very similar to choosing one for an adult – it ought to have soft bristles that will be gentle on the gums, be the correct size, so that they fit in your kids mouth with ease, and if it’s an electrical toothbrush have replaceable heads, since it is advised to change them every few months, or whenever the bristles become visibly worn. However, when choosing a toothbrush for children, you need to consider the ergonomic design of it too. Children have small hands and small mouths, therefore you need to select a toothbrush that is easy for them to control and handle and one that isn’t too large for their mouth. With this in mind, be on the lookout for toothbrushes with easy grip handles, there are even handles designed for multi-grip use, which allows both parent and child to use the brush together to assist learning. On the other hand, a toothbrush for a toddler will look different to an 8 year olds toothbrush; therefore, it’s always worth checking the recommended age for the toothbrush you like the look of. Many will simply be marketed as “kid’s toothbrush”, so it’s really important to carry out a little due diligence and make sure it’s the correct size for your child. 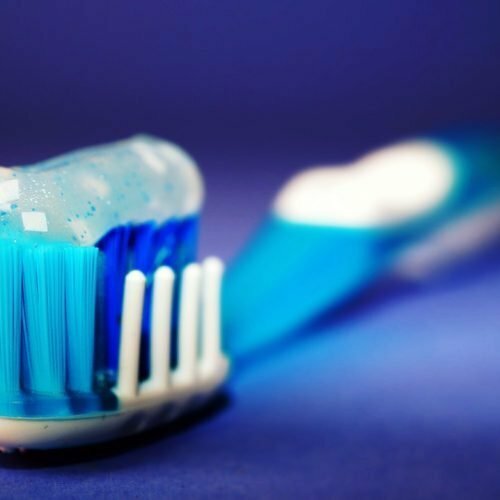 There are many toothbrush brands out there with fantastic reputations and many that have the American Dental Associations seal of approval. One huge factor many parents swear by is gimmicks to encourage their children to brush their teeth without any hurdles. This commonly includes colorful and playful designs, featuring popular animated characters, as well as ones that play music when pressure is applied – ideal for kids with short attention spans. It’s important for parents to view fostering good dental hygiene a key part of a child’s development after all our adult teeth are for life. When selecting the best electric toothbrush for your child, it’s important to select the right size and style. Ensure you choose a toothbrush with the right sized head so that it can easily clean all areas of the mouth, including the back teeth. For this reason, we recommend the Oral-B range as their brushes are sorted into the appropriate age-groups to make the decision process easy and straightforward. They also feature a wide range of themes, so there’s certainly going to be one that suits your child’s tastes. Letting your child choose their own brush can be a way to involve them in the process more and make them feel empowered, therefore, consider this during your decision making too.